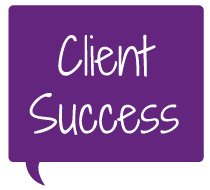 We have provided a reception service to this small accounting practice since May 2007. They provide the full range of accounting services to businesses, including; annual accounts preparation, payroll, tax returns, vat advice and compliance, etc. The practice owner is often with clients during the day or working on client business and needs to manage her time effectively. MyRuby is briefed to screen calls and prioritise the importance of each call. Any urgent client matter can be patched straight through to Elizabeth and dealt with immediately – routine calls are taken as a detailed message so they can be actioned by her at set points during the day. The service is very cost effective and far more efficient than employing a full time person. "I let MyRuby screen calls for me and if I won't be available for any length of time they can also advise callers when I'm likely to respond."